3 years after the event in New York, Jack Bauer has come out of hiding in London, when he learns of a plot to kill the United States President. Live Another Day appears to be a one shot deal, but as we've seen, the shows popularity means there is always a chance it will pop up again. While Fox has said nothing about the future of the show, Live Another Day did average over 10 million viewers an episode. As I do, I'm sure those fans are hoping that number leads to either the series coming back, a feature film, or simply more mini-series. 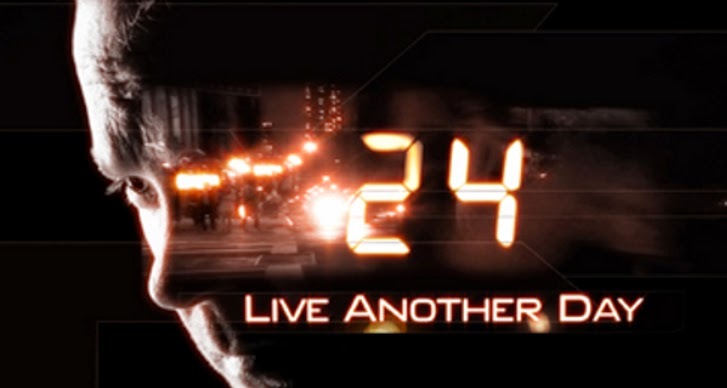 It's hard to imagine 24 taking place in another country and in just 12 episodes, but it didn't matter one bit, because of Kiefer Sutherland. The often criticized actor has found the Midis touch when it comes to Jack Bauer. I mean seriously, have you ever heard of a show that can completely change cast and location every season and still manage to survive? The cast, the location, even the date doesn't matter, because it has been and always will be about Jack Bauer. In a strange twist, as kind of a thank you to the fans, many characters from previous seasons have returned for the mini-series, and it only made it that much more enjoyable. Live Another Day features the same Jack, who really hasn't lost a step. It also comes with everything you came to expect from 9 seasons of the hit show. Live Another Day may only have been half as long as the other seasons, but it rivals every single one of them. If you're a fan or even a casual viewer of the show, give yourself a treat and sit down for 12 new episodes of this timeless television classic!